All the cucumbers I’ve been picking finally met their destiny. 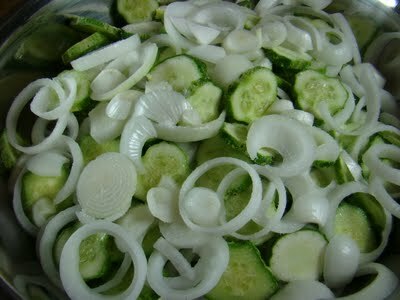 Slice up the cucumbers and onions into 1/4″ slices. Combine in a large bowl layering with the salt. 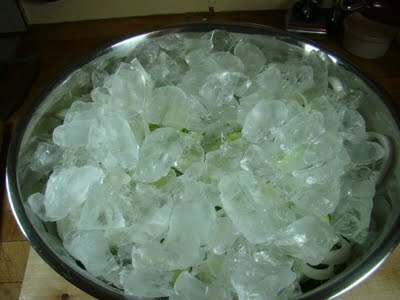 Cover with ice and let sit 1.5 – 2 hours. Combine remaining ingredients in large pot, bring to a boil. Add drained cucumbers and onions, return to a boil. Pack hot pickles and hot liquid into hot jars, leaving 1/4″ head space. Remove air bubbles. Adjust 2 piece caps. Process 10 minutes in a boiling water canner. 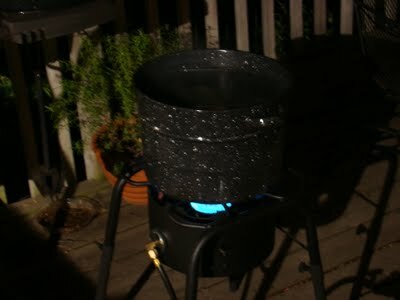 The new 60,000 btu burner works wonders! When cool, check seal and label. 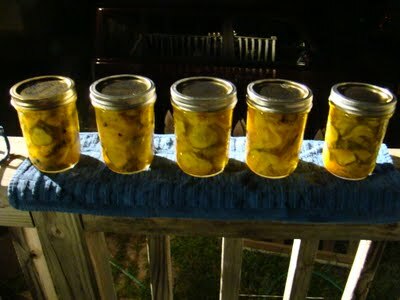 Allow 4 to 6 weeks for pickles to develop full flavor. 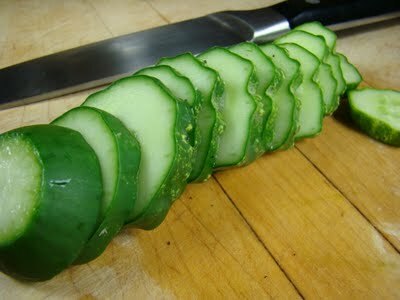 >I'm not a fan of pickled cucumbers, so I'll leave this one to the aficionados! Anyway, my cucumbers have been a complete disaster this year. The two plants have only produced one small fruit each, and now one plant has just given up and died. The worst thing is I don't understand why. >Sorry to hear that Mark. Any symptoms you could look up? >I know it might be hard to explain, but how would you say that this recipe tastes? I am pickling cucumbers for the first time this year and am trying to find a recipe I might like. >Prairie Cat – they are sweet, and delicious!